Computer programs that are capable of learning from experience are generally termed ‘artificial intelligence’. Their logic and strategy used for vegetation classification significantly differs from those programs that work with the data using exactly defined algorithms such as widely used divisive or agglomerative clustering (De Cáceres et al. 2015). There are two basic types of artificial intelligence that have been applied to vegetation data so far: machine learning algorithms (Hastie et al. 2009), which are tools for induction of the independent knowledge base, and expert systems (Noble 1987), which follow all human decisions and emulate the process of expert classification done by humans. The JUICE program contains algorithms of the Expert System of exactly defined structure. Vegetation types can be determined using explicitly defined logical formulas combining species or species groups and in some cases also their minimum relative cover. Last version of the Expert System commands and definitions is available as an appendix of the paper Tichý et al. (2019). Horsák, M., Juřičková, L., Horsáková, V., Pokorná, A., Pokorný, P., Šizling, A.L. & Chytrý, M. 2018. Forest snail diversity and its environmental predictors along a sharp climatic gradient in southern Siberia. Acta Oecologica 88:1–8. Li, C.-F., Chytrý, M., Zelený, D., Chen, M.-Y., Chen, T.-Y., Chiou, C.-R., Hsia, Y.-J., Liu,H.-Y., Yang, S.-Z., (...) & Hsieh, C.-F. 2013. Classification of Taiwan forest vegetation. Applied Vegetation Science 16:698–719. Hájková, P., Hájek, M. & Apostolova, I. 2006. Diversity of wetland vegetation in the Bulgarian high mountains, main gradients and context-dependence of the pH role. Plant Ecology 184:111-130. Velev, N. & Apostolova, I. 2009. A Review of Potentillo ternatae-Nardion strictae Alliance. Hacquetia 8:49–66. Velev, N., Apostolova, I., Rozbrojová, Z. & Hájková, P. 2010. The alliances Arrhenatherion, Cynosurionand Trifolion medii in western Bulgaria – environmental gradients and ecological limitations. Hacquetia 9:207–220. Boublík, K. 2010. Formalized classification of the vegetation of Abies alba-dominated forests in the Czech Republic. Biologia 65:822–831. Boublík, K., Petřík, P., Sádlo, J., Hédl, R., Willner, W., Černý, T. & Kolbek, J. 2007. Calcicolous beech forests and related vegetation in the Czech Republic: a comparison of formalized classifications. Preslia 79:141–161. Chytrý, M. (ed.) 2007–2013. Vegetation of the Czech Republic 1–4. Academia, Praha. Douda, J. 2008. Formalized classification of the vegetation of alder carr and floodplain forests in the Czech Republic. Preslia 80:199–224. Havlová, M. 2006. Syntaxonomical revision of the Molinion meadows in the Czech Republic. Preslia 78:87–101. Kočí, M., Chytrý, M. & Tichý, L. 2003. Formalized reproduction of an expert‐based phytosociological classification: a case study of subalpine tall‐forb vegetation. Journal of Vegetation Science 14:601–610. Landucci, F., Tichý, L., Šumberová, K. & Chytrý, M. 2015. Formalized classification of species‐poor vegetation: a proposal of a consistent protocol for aquatic vegetation. Journal of Vegetation Science 26:791–803. Lososová, Z. 2004. Weed vegetation in southern Moravia (Czech Republic): a formalized phytosociological classification. Preslia 76:65–85. Roleček, J. 2007. Formalized classification of thermophilous oak forests in the Czech Republic: what brings the Cocktail method? Preslia 79:1–21. Simonová, D. 2008. Vegetation of trampled habitats in the Czech Republic: a formalized phytosociological classification. Phytocoenologia 38:177–191. Douda, J., Boublík, K., Slezák, M., Biurrun, I., Nociar, J., Havrdová, A., (...) & Chytrý, M. 2016. Vegetation classification and biogeography of European floodplain forests and alder carrs. Applied vegetation science 19:147–163. Hájková, P. & Hájek, M. 2005. Diversity of Calthion wet meadows in the western part of flysch Carpathians: regional classification based on national formal definitions. Thaiszia 15:85–116. Marceno, C., Guarino, R., Loidi, J., Herrera, M., Isermann, M., Knolová, I., Tichý, L., Tzonev, R., Acosta, A.T.R., (...) & Chytrý, M. 2018. Classification of European and Mediterranean coastal dune vegetation. Applied Vegetation Science 21:533–559. Mucina, L., Bültmann, H., Dierßen, K., Theurillat, J.‐P., Raus, T., Čarni, A., Šumberová, K., Willner, W., Dengler, J., (…) & Tichý, L. 2016. Vegetation of Europe: hierarchical floristic classification system of vascular plant, bryophyte, lichen and algal communities. Applied Vegetation Science 19 (Suppl. 1):3–264. Peterka, T., Hájek, M., Jiroušek, M., Jiménez‐Alfaro, B., Aunina, L., Bergamini, A., (...) & Chytrý, M. 2017.Formalized classification of European fen vegetation at the alliance level. Applied Vegetation Science 20:124–142. Rodríguez‐Rojo, M. P., Fernández‐González, F., Tichý, L. & Chytrý, M. 2014. Vegetation diversity of mesic grasslands (Arrhenatheretalia) in the Iberian Peninsula. Applied Vegetation Science 17:780–796. Šumberová, K. & Hrivnák, R. 2013. Formalised classification of the annual herb vegetation of wetlands (Isoëto Nano-Juncetea class) in the Czech Republic and Slovakia (Central Europe). Phytocoenologia 43:13–40. Willner, W., Jimenez-Alfaro, B., Agrillo, E., Biurrun, I., Campos, J.A., Carni, A., Casella, L., Csiky, J., Custerevska, R., Didukh, Y.P., Ewald, J., Jandt, U., Jansen, F., Kacki, Z., Kavgaci, A., Lenoir, J., Marinsek, A., Onyshchenko, V., Rodwell, J.S., Schaminee, J.H.J., Sibik, J., Skvorc, Z., Svenning, J.-C., Tsiripidis, I., Turtureanu, P.D., Tzonev, R.T., Vassilev, K., Venanzoni, R., Wohlgemuth, T. & Chytrý, M. 2017.Classification of European beech forests: a Gordian Knot? Applied Vegetation Science 20:494-512. Landucci, F., Gigante, D. & Venanzoni, R. 2011. An application of the Cocktail method for the classification of the hydrophytic vegetation at Lake Trasimeno (Central Italy). Fitosociologia 48:3–22. Landucci, F., Gigante, D., Venanzoni, R. & Chytrý, M. 2013. 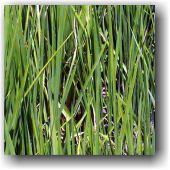 Wetland vegetation of the class Phragmito-Magno-Caricetea in Central Italy. Phytocoenologia 43:67–102. Swacha, G., Kącki, Z. & Załuski, T. 2016. Classification of Molinia meadows in Poland using a hierarchical expert system. Phytocoenologia 46:33–47. Dítě, D., Hájek, M. & Hájková, P. 2007. Formal definitions of Slovakian mire plant associations and their application in regional research. Biologia 62:400–408. Hrivnák, R., Hájek, M., Blanár, D., Kochjarová, J. & Hájková, P. 2008. Mire vegetation of the Muránska Planina Mts – formalised classification, ecology, main environmental gradient and influence of geographical position. Biologia63:368–377. Janišová, M. & Dúbravková, D. 2010. Formalized classification of rocky Pannonian grasslands and dealpine Sesleria-dominated grasslands in Slovakia using a hierarchical expert system. Phytocoenologia 40:267–291. Svitková, I. & Šibík, J. 2013. An expert-based classification of high-altitude arctic-alpine vegetation of the class Carici rupestris-Kobresietea Ohba 1974: Achievements and obstacles. Plant Biosystems 147:315–327. Šilc, U. & Čarni, A. 2007. Formalized classification of the weed vegetation of arable land in Slovenia. Preslia79:283–302. Kuzemko, A.A. 2012. Using sociological groups and Cocktail method for the classification of meadow vegetation in the forest and forest-steppe zones of the flatland part of Ukraine. Ukr. Bot. Zh 69:190–202.